At Cadet Direct, we have the largest collection of army rank slides and rank patches available online in the UK. Military rank slides are generally worn with ceremonial dress, designed to act as a symbol of service or authority. Our extensive range offers army rank slides for a variety of ranks, regiments and servicemen to deliver you the widest choice of military insignia. Plus, if you are a soldier-in-training, we deliver Cadet rank slides for both Army and Air Cadets. Featuring RAF rank slides, MTP rank slides, CCF rank slides and more, Cadet Direct has a fantastic selection to choose from. Our huge collection of army rank slides and patches are made to regulation standards and from the highest quality materials. 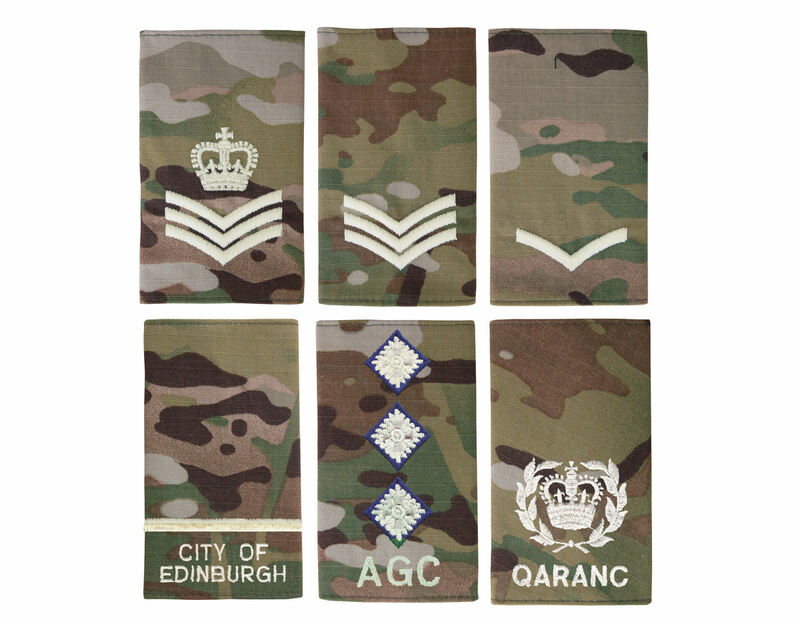 We also offer Air Cadet rank slides and Army Cadet rank slides for youth military personnel. What’s more, we are always expanding our military badge range. If there is a rank slide you require that you don’t see, please check back soon. Or you can contact us to find out about our custom service, where you can have cadet rank slides or patches made to your specification. Order army rank slides today from Cadet Direct with same-day shipping and express UK delivery!